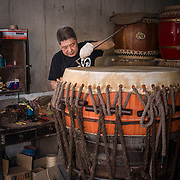 Master Xi-Kun Wang is a second-generation traditional drum maker and the owner of Xiang Ren He Drum Factory. 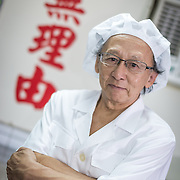 His family has been in this business for more than 80 years, making Xiang Ren He Drum Factory a recognized historical landmark in the Hsin-Chuang region.In 2002, Master Wang started seeking innovative ways to enrich people's lives through his drums and through sound therapy. He founded Xiang Ren He Drum Cultural Center, a place for all to learn the art and history behind traditional drum making. 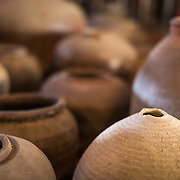 Foreign visitors to the annual Hsin-Chuang International Drum Festival are encouraged to visit the Xiang Ren He Drum Cultural Center to understand the background stories of Taiwanese drum.Master Wang believes that drum making is an artwork that should be preserved to future generations. "The drum itself is alive because the drumhead was made from a living creature. Through the reuse of the creature's skin, we hope its life would bring the world not only music, but also encouragement and enlightenment to the people. This is our mission. "In 2009, Xiang Ren He was registered by the Taipei County Government as one of the Taipei County's finest traditional arts. During the same year, Master Wang was awarded the "Taipei County Arborist Traditional Arts Award." In 2010, he was enlisted as Councilor of Cultural Affairs (CCA) as a Cultural Heritage technology preserver. 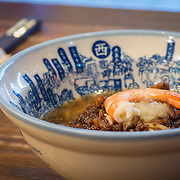 Currently, he is regarded as a national living treasure of Taiwan.